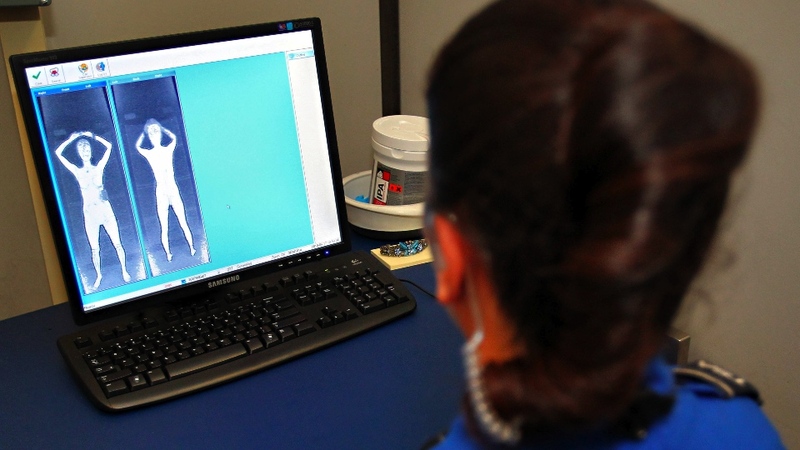 DHS has spent nearly $US90 million replacing traditional magnetometers with controversial X-ray body scanning machines that are intended to detect items that could be missed by a metal detector. The news comes as authorities are examining anunderwear bomb, allegedly seized by the CIA in Yemen as it allegedly thwarted an Al-Qaida plot to destroy a US-bound aeroplane, according to The Associated Press. Authorities are now looking to determine if the bomb could have passed through airport screeners without being detected. In March, meanwhile, a TSA spokeswoman said "These machines are safe" when asked to address a video by Jonathan Corbett, of Miami Beach, who allegedly had discovered a method to beat the body scanners, which number 600 and are in about 140 US airports. A brief YouTube video allegedly shows Corbett, who had sewn a pocket to the side of his shirt, getting past two body scanners with a metallic object in that pocket. It was not immediately known when the TSA published its unclassified summary, TSA Penetration Testing of Advanced Imaging Technology. It comes with a "November 2011″ date and can be found on the DHS Office of Inspector General website under the heading "OIG Reports: Fiscal Year 2012." It's not the first time the body scanners, produced by Rapiscan and L-3 Communications, have come under attack. In a three-part series last year, Wired reported that, indeed, there were suspected security flaws with them. Even the Government Accountability Office — US Congress' investigative arm — said the devices might be ineffective. And the Journal of Transportation Security suggested terrorists might fool the Rapiscan machines by taping explosive devices to their stomachs. The unclassified summary said the government has spent $US87 million on the scanners, which includes $US10 million for "installation and maintenance." To quiet privacy concerns, the authorities are also spending $US7 million to "remove the human factor from the image review process" and replace the passenger's image with an avatar.